Please discuss the upcoming climate march and how can one participate if not in DC. What gave the activists courage to hang the RESIST banner? What keeps the activists motivated to do the work they do? 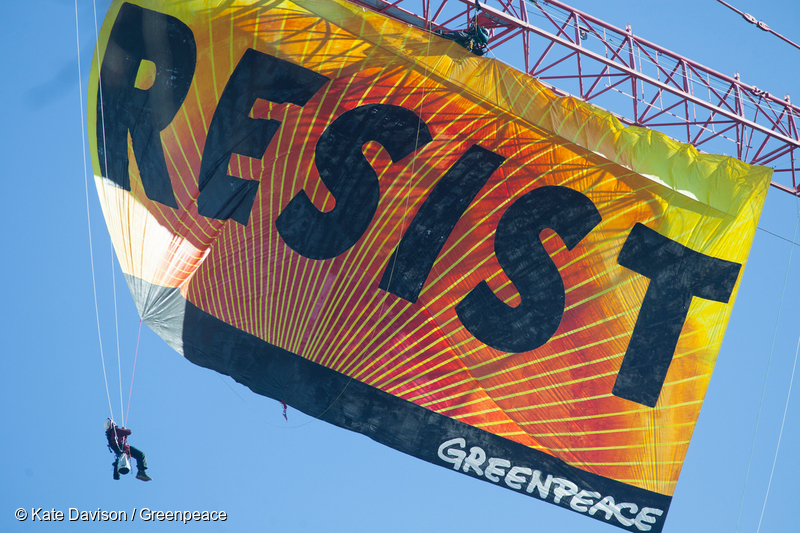 Greenpeace USA hosted this live interactive event and featured activists Pearl Robinson and Nancy Pili Hernandez.They are two of the Greenpeace activists who were involved in January's protest near the White House which included the "Resist" banner hung from a crane and aimed at Trump's administration and agenda. Nancy and Pearl shared their activism background and both shared a message of courage. They also highlighted the importance of cultivating a relationship with nature from a young age in order to build character.The upcoming People’s Climate March in Washington DC was discussed. The hosts encouraged callers to get involved locally if unable to attend the national event. This is intended to be an overview of all Greenpeace’s work. All donations to Greenpeace Fund are used for 501(c)(3) permissible activities.